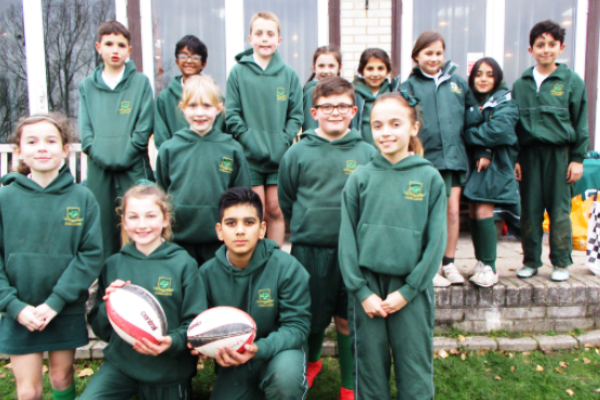 On Friday 1 March, pupils from Years 5 and 6 took part in the ISA Tag-Rugby competition at Woodford Wells Cricket Club. It is the first time Oaklands School have taken part in this event and they all did fantastically against some strong opposition. We were able to enter two teams with the view of giving some other children a chance to show their potential. Our A team played 5 games, winning 3, drawing 1 and losing 1. Unfortunately we did not finish in the top two to qualify for the semi-finals. Our B team worked tirelessly and just missed finishing first in their group winning 1, drawing 2 and losing 2 but appeared to improve as each game went on. Francesca was likened to a female version of Usain Bolt with her direct speedy sprints to score some superb tries! Luke, Alex, Leo, Jayden and Cailan showed we have a good future in tag-rugby, with some fantastic play and tries of their own. Aminah represented the school in sport for the first time and the experience really boosted her confidence. Well done to everyone who played; the highlight was two entertaining draws against our rivals Normanhurst and Coopersale Hall!